How do I reset the FSS after I do a service. 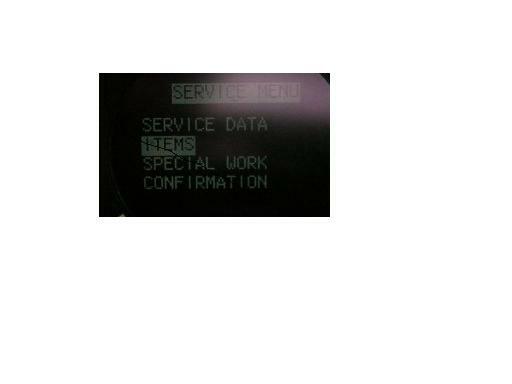 The nearest service is 100 miles away and for the "normal" stuff I can do local I would like to reset the FSS. Last edited by vettdvr; 06-22-2006 at 09:54 AM. Go to the link I gave you in the Tech Talk section in response to your post and download the pdf -- it will have instructions. Beginning 2006 MBUSA removed the ability to pull up detailed service data information in the MFD by using the reset button. Furthermore, the manual states if maintenance is not carried out by an authorized MB center an instructional to reset the indicator is available from either your dealer or directly from MB. For some reason I can't pull up the FSS Plus on my Display using the below procedures in the first posting on this thread.......any suggestions for getting access to the FSS Plus? Played with it and found a procedure that works. 2) Now you can go through the steering wheel control buttons as listed above to get to the service menu for viewing and resetting. Someone with a -> MY05 and a MY06 -> one might want to compare. Played with it and found a procedure that works. Someone with a -> MY05 and a MY06 -> one might want to compare. Please explain. I was able to see the the individual items to be performed for the respective service as well as the reset functionality, the miles/days remaining, etc. Relative to my vehicle, nothing happens in pressing the reset in the temp screen – any combination of taps. And when held in constant, of course, the trip odometer resets. Let us not forget the 07 IC, other than appearance, is a brand new. Side note; remember the preset fiasco that could not be adapted to the 03 – 06 IC. - Press the menu systems button until the outside temperature display appears. - Press the menu systems button until the MPH display appears. Last edited by konigstiger; 12-24-2006 at 05:08 PM. I know that is has been a long time, but here is the second oil report analysis. It is obvious to me that I did the correct thing to paying for an oil change at 5,000 miles. Then MB paid for the oil change at about 11k miles but I did not test that oil. At 16K miles I paid for an oil change because I was going on a long trip over the desert and wanted clean oil. I tested this sample and it was a waste of good oil (having it changed). Now my car just had another free oil change that I also know was probably wasted at 23k miles, but free is free. I now plan to change it within the 2,000 mile allowance of what the FSS says. After I run the oil for what that computer says I can I will test it again and repost. On a side note, my MFD service display usually started at 13,000 miles until next service. Now it started at 10,000 miles! I wonder if MB changed their software. I have not had time to personally speak with the mechanic, but I think that this was the case. This means that 03 and 04 model owners who are still under free service will have more frequent changes, If the interval was 13K the dealer would change the oil after about 11k. Now that it says 10K to start with, they will change it when it after 8k miles driven or 2,000 miles remaining on the service. I find this interesting and I wonder if it has anything to do with that fact the MB no longer offers free service and they want to make more money by getting their customers in sooner. Last edited by SAguirre; 01-20-2007 at 08:36 PM. This is an e-mail I got from my SA. It says that MBUSA will pay for service at one year or 10,000 miles (which ever comes first). I've been getting yearly free service with an average mileage of 7,500 miles. I've seen where BMW have also changed to permit service at the one year mark. 2003 & 2004 free maintenance as per FSS recommendations (initial post) however, oil changes will be allowed @ 1-year or 13,000 (10,000 AMG) mile intervals. We just got Service A done at about 12,000 Mi. It was about $275.00. 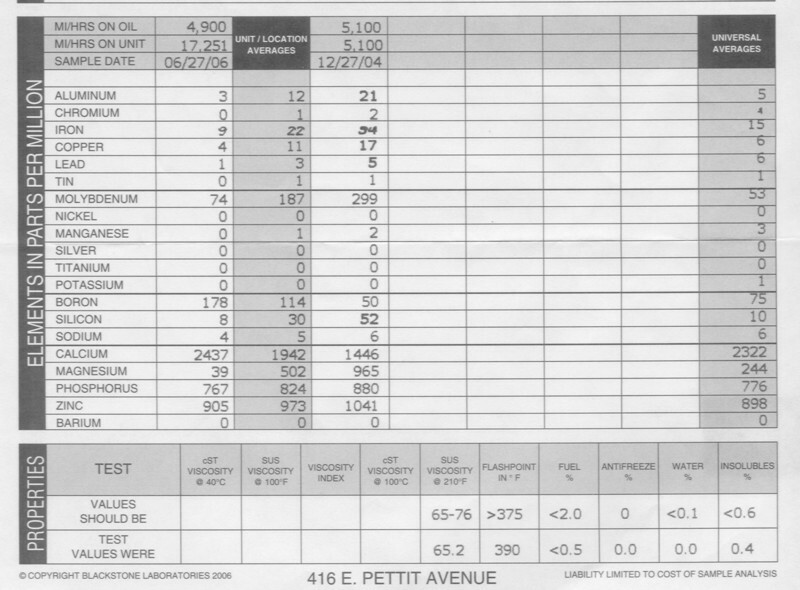 The invoice shows that we were charged for 9 quarts of synthetic oil at 9.95 a quart. Does an E350 really hold 9 quarts? that seems like a lot of oil for a 3.5L gas powered V-6. It really takes 8 liters. Wow, well that explains it! It would take 9 quarts to make 8 liters. I guess that high volume of oil helps give the long service intervals. Thank you for your prompt response JP! On a related note, I just had my oil and filter changed in between the service after around 6,000 miles without resetting the FSS computer. I stood next the the car so I know it was changed. Still, the computer continues to count down miles and has not added any with the fresh oil and filter. Some people said the got extra miles between services after refilling a quart, so I thought mine would really go up after changing the whole thing. Any thoughts? The first time I had the oil changed without resetting the computer it took about 20 miles of driving and the FSS gained about 800 miles. The second time it did not gain that much, maybe 200 miles at most. I think that it depends on how bad the oil was that you took out. The first time I did it the test came back stating that the oil was full of metal and junk (higher conductivity readings), when the new oil went in, the computer noticed. The second time I did it, when there was a minor gain in miles left, the oil came back as still being in good shape so I wasted the oil. On a side note, sometimes it takes a bit of driving for the computer to notice that the oil is better, but I bet that in your case the oil that they removed was still very good. that would make sense. I have driven about 100 miles since the change and the computer keeps counting downward. Based on your sample analysis, I guess I did the right thing: After I got my car in 2003, I had the dealer change the oil and filter at about 600 miles and again at 4500 miles. Then I stuck to the FSS and had the dealer change it at 11000, 25000, 37000 and 49000 miles. Now I had it changed at 56000 at an independent dealership. The filter and oil looked dirty, but I guess according to the computer it was still good after all. does anyone know what is service E stand for? my car have 54k miles. does anyone know what is service E stand for? The estimated completion time for service E is 5 hours. Follow the procedure in post 34 then compare item numbers in the MFD to those listed in post 1. 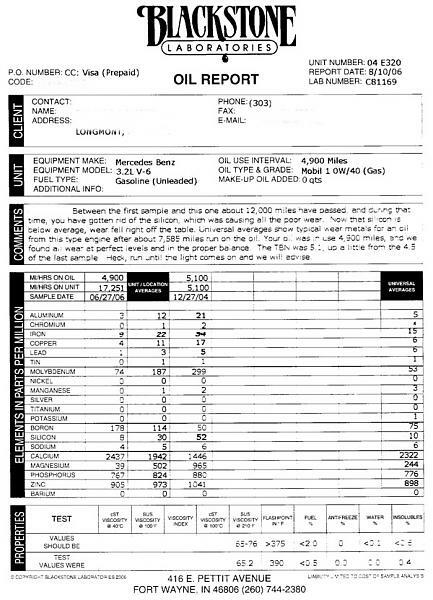 I assume they should hold true for MY05, other than item 12 because oil changes were updated to a fixed interval 13000 miles or 1 year. Note: A=1 hour, B=2, C=3, D=4, E=5, F=6, G=7, and H=8. I tried this procedure from post 43, and I got those numbers displayed, but some of them were missing, the last one was 13. What does it mean? What is "Addit. Work" means? Last edited by rostov; 10-11-2007 at 11:18 PM. Ok. Those are the tasks from the post 1 that have to be done? Sorry for my stupidity - never had a chance to deal with this thing.